Today room 8 went to room 7 for science intensive with Miss Tofa and we learned about Insulation. 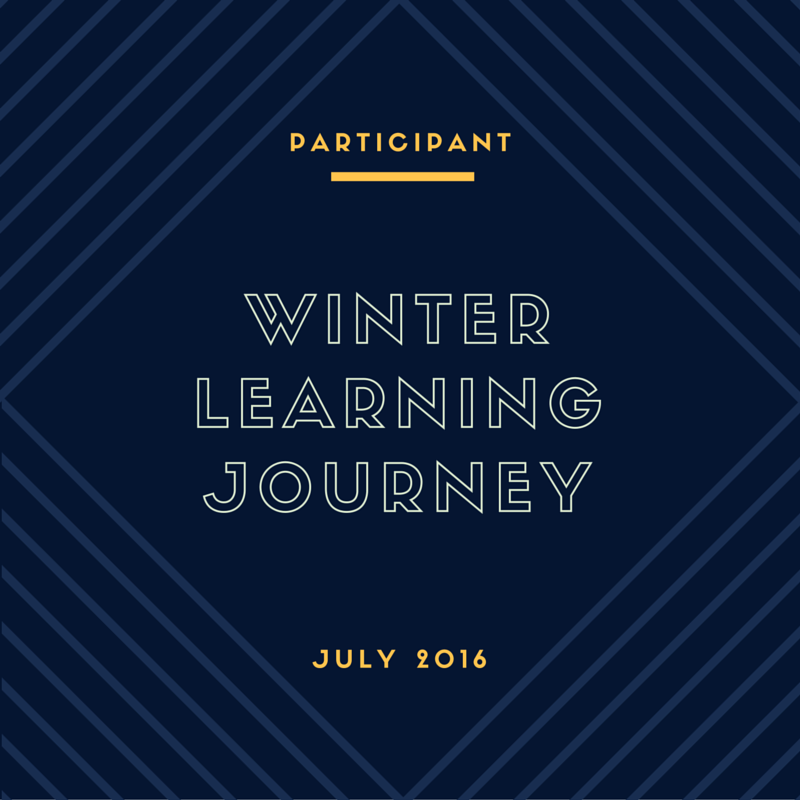 Insulation keeps your house cool in summer and warmer in winter. 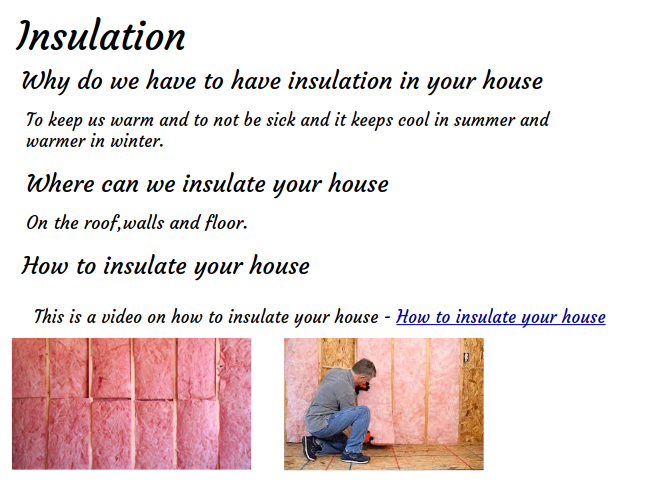 We watched videos on how to insulate your house and then we took information from the videos and put it on our brainstorms. 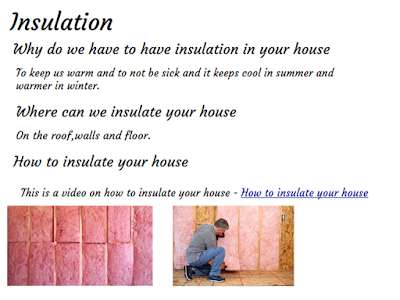 It is great to see what you have learned about insulation from Mrs Tofa. Do you think it would be easy to insulate a house?